Metal detecting laws came about because of the laws of antiquity. Although there are only a few laws that govern metal detecting, what you need to understand are the laws that prohibit the digging of artifacts. 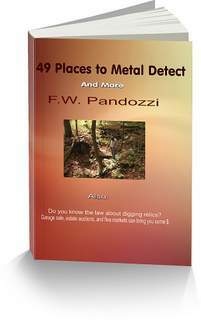 If you love metal detecting, or you want to begin the hobby, you need to know what and where you can dig. Even if you do not metal detect, but you love the outdoors, it's important that you understand the laws. As you continue to read, you'll know why. The information on this page could save you many hours of headaches, attorney’s fees and the frustrations with bureaucracy. Many individuals across the United States have been unnecessarily ridiculed, harassed, and even arrested, because they were not aware of the laws regarding relics, and artifacts. As you read this page you will begin to understand that those laws are a hindrance to our right of enjoying our public lands. Anytime any law has been passed it takes away one of our rights under the Constitution. I am not an attorney, however I am an a student of the Constitution. I believe that the laws I will be mentioning below are unconstitutional in nature. Before I begin, I would like to mention that, I am not against any metal detecting laws, or treasure hunting laws that protect Indian sites. Also, I am not advocating that we should be breaking these laws. As hobbyists, we must follow the Federal laws that have to do with the removal of antiquities. Especially when removal of an object is on State land or parks. The best way to fight back against these laws is by having them repealed through the proper channels. There are organizations that are helping us in that way. Metal detecting laws exist in many park areas. They are more of a rule or an ordinance that was passed by a town or village. DISCLAIMER:I will not be held responsible for any information on this page that has been outdated due to new Federal regulations. Although I do try to stay on top of any new Federal Laws, it is not my responsibility to monitor every detail that affects our laws. From time to time you need to follow up with your State regulations as well. Information regarding your State is provided below. Remember, there are no Federal metal detecting laws...but digging artifacts comes under the Federal laws. For information on the laws of your State, please click on your state. There are millions of people across the country that participate in the hobby of metal detecting, as well as other outdoor hobbies such as bottle hunting and rock collecting, hiking and camping. If they are on Federal lands, they be breaking one or more of the land laws. 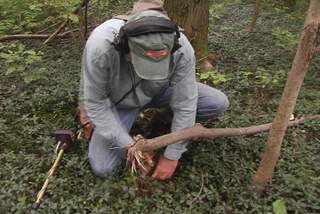 Metal detecting laws have been in existence in other countries. I'm sure that you have a fascination with holding a piece of history in your hands, or else you would not be on this page. However, if you enjoy searching for relics on a regular basis, or for those of you who enjoy any other outdoor activity, you may be breaking the law, and you could end up in jail. Don’t believe me? Read the stories below. A backpacker on a secluded trail stopped to rest. As he sat leaning against a tree he noticed a stone that was shaped like a bowl. The rock intrigued him. So he picked it up and placed it in his backpack. The next day, after spending a night camping, the hiker began his trek out of the woods. On his way to his vehicle he was met by a DEC (Department of Environmental Conservation) officer. They stopped to talk…and the hiker showed the DEC officer the unusual rock he found. The officer then informed the backpacker that he had just broke a law. The officer told him the unusual rock was of Native American Indian origin, and was probably more than 200 years old. He was given a citation and told to report to the local DEC office. The hiker was shocked at what had just transpired. He tried to explain that he was not aware of the fact that the rock was native Indian. He pleaded with the officer to let the incident pass, and that he would not pick up anymore rocks. To no avail, the DEC officer would not tear up the citation. After meeting with the DEC office, and an archaeologist assigned to that office, the hiker was warned that if he removed any more stones, flowers, artifacts, etc, etc, etc, that he would be arrested and fined. The fine could be as much as $10,000. 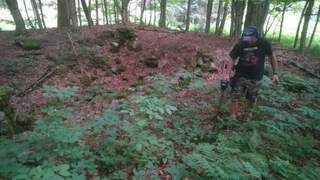 Two men in another State were metal detecting on State land and were arrested ,fined $5000 each, and had their detectors confiscated for removing artifacts from an old foundation area. DEC officers saw them with three items in their possession. One artifact, the State archaeologist said, was an old button, another so called artifact was a 1852 Large Cent, and the third so called artifact was a clothing buckle. I have hundreds of stories just like these from across the country. One of the reasons is because of my metal detecting TV series, Exploring Historys Treasures. I was the first to produce such a series. The show upset archaeologists because we were showing our viewers how to dig for artifacts and relics. You see, most Arkies believe that they are the supreme “diggers of dirt,” and that no one else has that right. They immediately assume we are breaking metal detecting laws. Archaeologists believe that they are the supreme diggers of dirt, and that no one else has the right to do so. And they use a law called ARPA. The Archaeological Resources Preservation Act to expand their agenda of “all the dirt is for us.” This law and another law I will address are not metal detecting laws. This federal law goes all the way back to 1906 as the Antiquities Act. AND IT IS NOT ABOUT BREAKING METAL DETECTING LAWS! It’s important that you understand that these issues I am talking about are the issues that deal with the State Lands, US Forest Lands, and parks. For years, Archaeologists across the country, as well as state bureaucracies, have manipulated the American Antiquities Act of 1906, ARPA, the National Historic Preservation Act, and many State laws. The Archaeology communities have bended, stretched, and remolded the above Federal laws to aide their agenda. What is their agenda?I'll tell you. They want metal detecting laws. Their agenda is to control every item of history. This includes every relic, artifact, coin, bottle, pottery and Indian arrowheads, etc, that lay beneath the grounds surface. I have already stated that Archaeologists are needed in certain instances. However, Archaeologists believe that no individual, other than he or she has the right to dig up and explore history. Remember those stories above? The Archaeological communities have forced their hand of power as the supreme diggers of dirt. They have reshaped the above laws so that if anyone other than an Archaeologist digs on State land and retrieves any artifact of historical significance, then that individual is breaking the law. The Archaeologist along with both Federal and State officials have used phrases such as, any item of an historical significance, or any artifact of cultural significance to fit their agenda. The generic terms of cultural and historical significance means that the layman cannot dig any history found on State or Federal land. The problem here is in the interpretation or definition of what cultural and historical significance mean. Is a coin dated 1850 as significant as a piece of pottery from 4000 years ago? I don’t think so! And if it is, who decides and how? The Archaeologist does. Archaeologists have always been more concerned with what artifacts they could find on pre-historic sites. We’re talking about the artifacts from thousands of years ago. Remember, metal detecting comes under the rules of the laws of antiquity. Questions among many of us are these. Who defines what antiquity is? What a cultural resource is? What is an object of historical significance is? What is modern and what is not? The only issue that is clear is that the Archaeology community has been taking advantage of a set of laws that are vague in definition. The Archaeology community constantly manipulates, what is already a vague definition of what antiquity is and is not. And because of this, Archeologists in the US are forcing their power on people who pay taxes for, and use State lands for recreation. They would love to see metal detecting laws in every state. Webster’s dictionary defines the word archaeology as the “study of ancient times from remains.” How does an object that is 100 years old become ancient and off limits to anyone but an Archaeologist? Does an item that is 100 years old qualify as ancient? Be Careful You Do Not Break Any Metal Detecting Laws In These Areas!